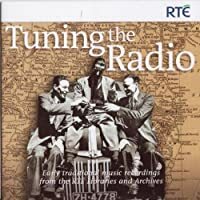 other information RTÉ 285CD, 2010. Compilation of recordings made for radio broadcast between 1940 and 1955. Notes by Peter Browne. Released about 5 November 2010 according to several different Web sites. Not indexed here: track 2 (La Mujer). [1st of three tunes in a set with only two titles:] "The Northern, The Minstrel's Fancy"
[2nd of three tunes in a set with only two titles:] "The Northern, The Minstrel's Fancy"
[3rd of three tunes in a set with only two titles:] "The Northern, The Minstrel's Fancy"